Bahrain Aluminium Extrusion Company (Balexco), well known for its premium quality of aluminium extruded products, is continuing to upgrade its plant and machinery as part of its business strategy called Balexco 2020 that incorporates its growth forecast plans over the next three years. 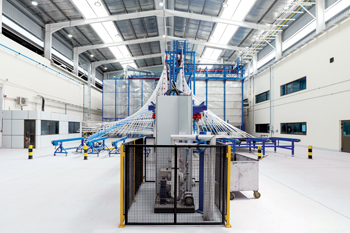 The company is all set to launch the commercial operations of its state-of-the-art vertical powder coating plant, a major plant enhancement made by the company in 2017. 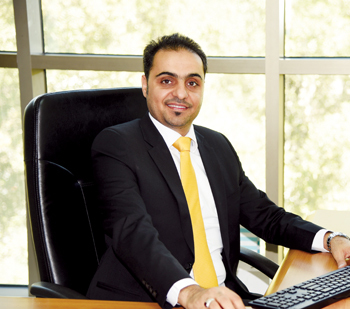 The new vertical powder coating plant will be the first of its kind in the Middle East with Visual Recognition System (VRS) technology, according to Balexco acting general manager Ali Ghuloom Abbas. “The latest VRS technology will help in having consistency in powder quality and eliminate operator’s errors as the profiles are detected and hence the consistency is achieved via adjusting the guns automatically,” Abbas said. The new plant is expected to increase the powder coating capacity to 16,000 tonnes per annum. The company’s fully integrated plant – with four press lines, powder coating plant and anodizing plant all located in Sitra Industrial Area premises – provides end-to-end solutions to customers. The powder coating plant is in compliance with Qualicoat standard and the anodizing plant with the Qualanod standard. These are subject to regular reviews by a third party to assure ongoing compliance, the company said. “Being an ISO 9001:2008 certified company we strive to go beyond the expectation of the customers, and achieve high levels of customer satisfaction as part of our continuous improvement process. We also operate under a rigorous environmental as well as occupational health and safety policy and programme,” said Abbas. Since its commencement, Balexco has been an export oriented unit (EOU) and exports most of its production within the GCC and other Middle East and North Africa (Mena) countries. Fast turnaround time on new dies and samples is one of the key roles of the Die Shop department and has been the contributing factor in transforming enquiries to confirmed orders for new and its patron clients, Abbas said. To be a part of the fast developing industrial aluminium profiles, Balexco has already made a foray into the industrial application profiles. The company will be focusing on increasing the volume of architectural systems profiles and planned to set-up a new thermal break system machine by April 2018. Thermally broken profiles would reduce the carbon footprint and promote the Green Building concept. Balexco is fully geared up to move on to the next level of extrusion and remains a pioneer in the industry with a motto of `one-stop destination for extruded products’.